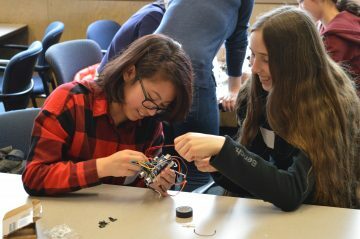 Engineering Explorations events are an exciting opportunity for girls across BC to visit UBC Engineering and learn about engineering. You will enjoy fun, hands-on activities led by current university students and meet engspiring mentors. Parents are welcomed to a parent information session later in the day. Learn why engineering is an amazing career opportunity for your daughter and how to encourage her to consider all of her options as she moves forward in her secondary and post-secondary education. Sign up for our mailing list to hear about new and upcoming Girls-Only events! * If you have a boy that is interested in similar programming, we highly encourage you to explore Geering Up and UBC Engineering events. As well, please be aware that we have an inclusive view of the word “girl” and we welcome trans*, genderqueer and non-binary folks interested in these workshops. engineering students and professionals who will share their stories and experience. Parents are welcomed to a parent information session from 1:00 – 2:00pm in Irving K Barber Learning Centre Room 461. 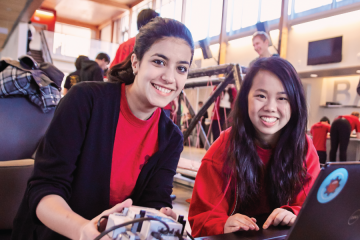 Learn why engineering is an amazing career opportunity for your daughter, and how to encourage her to consider all of her options as she moves forward in her secondary and post-secondary education. professionals who will share their stories and experience. Details for Engineering Explorations 9 2019 will be posted in Summer 2019! Are you a grade 11 girl who is curious about engineering? Want to see what university is like? Come to the University of British Columbia for our grade 11 girls conference! 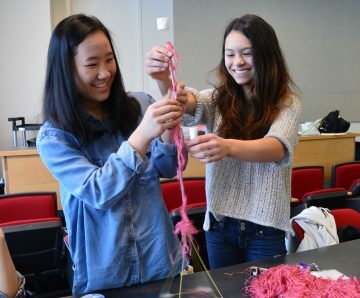 The conference is an exciting opportunity for grade 11 girls to participate in hands-on workshops, explore the University of British Columbia and meet engineering students! Details for Engineering Explorations 11 2019 will be posted in Summer 2019! Are you a grade 12 girl who is curious about engineering? Want to see what university is like? Come to the University of British Columbia for our grade 12 girls conference in November! 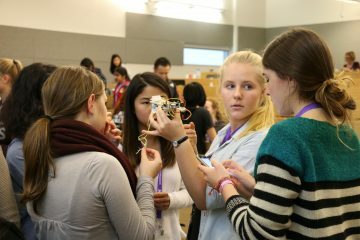 The conference is an exciting opportunity for grade 12 girls to participate in hands-on workshops, explore the University of British Columbia, meet engineering students and compete in a design competition!